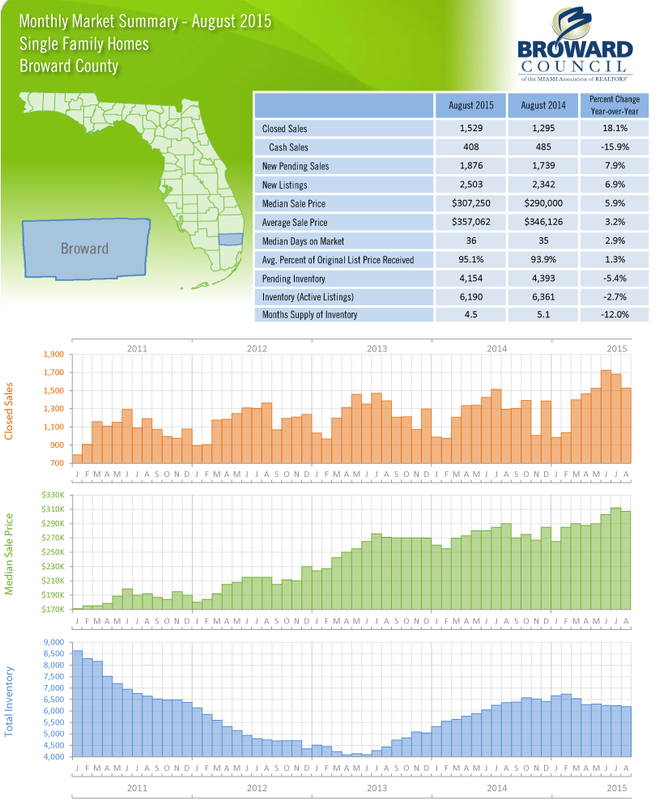 Do you want to know about Broward County Florida Real Estate statistics for TownHouses and Condos for August 2015? 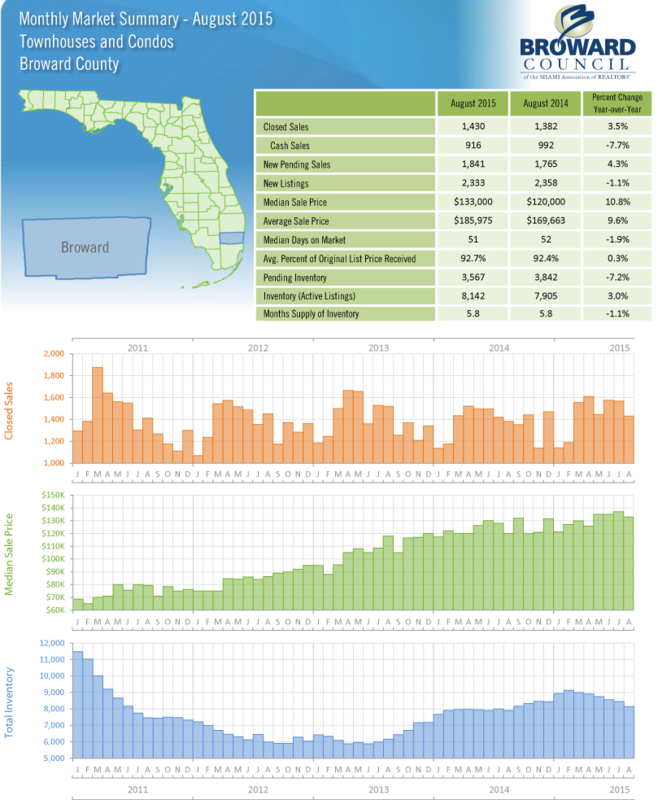 This entry was posted in Statistics and tagged Broward County, broward county real estate, buy a home, Buying better than renting, Florida, Good listings, Good opportunities, Jean Deglon, Market Analysis, Real Estate, real estate Florida, Realty Services Florida on September 25, 2015 by Realty Services Florida. 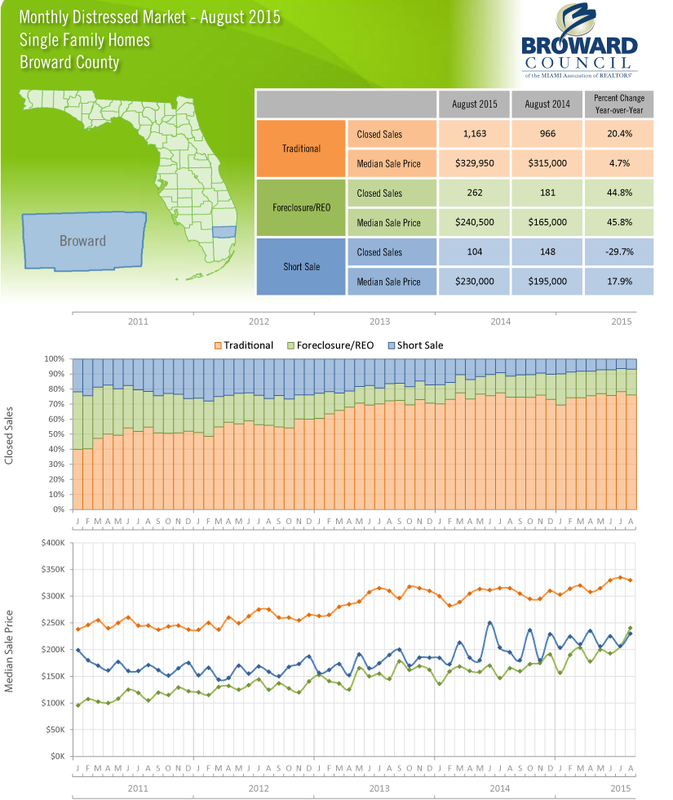 Do you want to know about Broward County Florida Real Estate statistics for Single Family Homes for August 2015? This entry was posted in Statistics and tagged Broward County, broward county real estate, buy in florida, Good opportunities, homes for sale, houses for sale, Jean Deglon, Market Analysis, MLS, Real Estate, Realty Services Florida on September 25, 2015 by Realty Services Florida. South Florida’s housing market continues to inch higher on a national index released by mortgage company Freddie Mac. 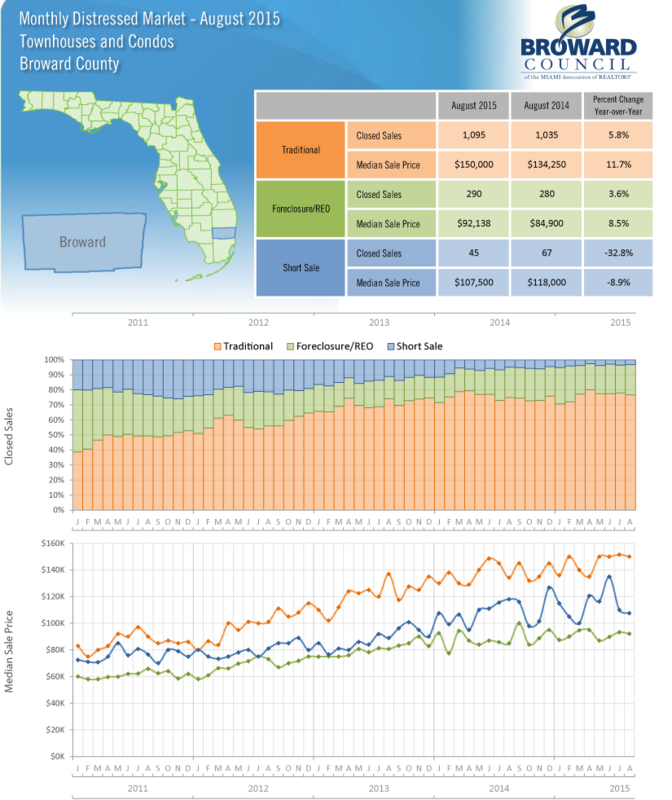 The tri-county region of Palm Beach, Broward and Miami-Dade counties scored 83.7 in July on Freddie’s Multi-Indicator Market Index, up 14 percent from a year ago. The index measures housing markets across the country by tracking home loan applications, affordability, mortgage loan delinquencies and employment. A composite score of at least 80 is considered favorable or stable. A perfect score is 100. This entry was posted in News and tagged broward county real estate, Buying better than renting, homes for sale, Investment, Jean Deglon, Market Analysis, Quality of Services, real estate Florida, Realty Services Florida, west broward realty on September 24, 2015 by Realty Services Florida. Est-il possible de mettre en garantie une propriété au Canada pour obtenir, en Floride, un prêt hypothécaire en argent américain ? C’est non seulement possible, mais c’est la meilleure façon de faire en cette période de faiblesse du dollar canadien. Pour lire la suite, consulter notre nouveau site tout en français. This entry was posted in FR, Québec Floride and tagged a vendre en floride, Achat condo Floride, Condo à vendre en Floride, Condos Floride, Snowbirds on September 22, 2015 by RSF Team. Lionel and Tanya Lightbourne have been house hunting for 11 years — longer than they’ve been married. They still haven’t closed a deal. Their credit is good. They’ve found financing. But skyrocketing home values have priced them out of South Florida’s housing boom, even in the inexpensive North Dade area of Ives Estates where they want to live. Too often the old and creaky homes they can afford fail inspections required by first-time home buyer mortgage programs. This entry was posted in News and tagged Broward County, broward county real estate, Good opportunities, Home price, homes for sale, jean broward realty, Jean Deglon, Market Analysis, Realty Services Florida, Southwest Ranches on September 18, 2015 by Realty Services Florida. Pour investir en Floride, passé l’âge de 55 ou 60 ans, est-ce trop vieux ? Même passés les 80 ans, de nombreux Snowbirds profitent encore de leur propriété en Floride. Depuis la fin de la récession, les prix ont augmenté annuellement d’environ 10 % jusqu’en 2013. This entry was posted in FR, Québec Floride and tagged a vendre en floride, Achat condo Floride, Condo à vendre en Floride on September 18, 2015 by RSF Team. En Floride, est-ce encore possible de trouver une propriété à prix convenable dans le marché actuel ? Un agent immobilier en Floride qui connaît bien le marché des comtés de Broward, Palm Beach et Miami-Dade pourra trouver le condo ou la maison qui convient à vos moyens. Pour lire la suite, merci de consulter notre nouveau site complètement en français. This entry was posted in FR, Québec Floride on September 15, 2015 by RSF Team.